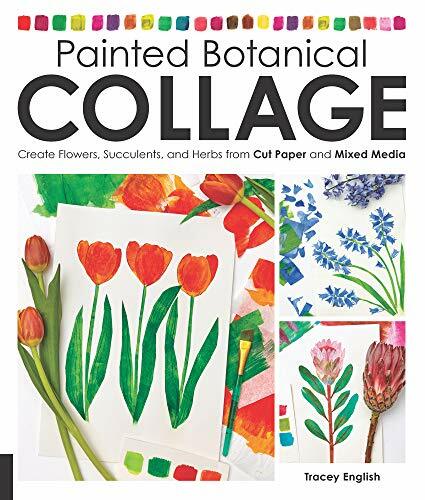 "Painted Botanical Collage: Transforming Mixed-Media Papers into Cut Paper Blooms" by Tracey English is a small, colorful and fun to-do visual arts books. It encourages you to look at the plants around - and see how you can turn what you see into an evening project. Its sole purpose is to give you step by step instructions to build 33 collages representing single flower arrangements. The detailed tutorials are proceeded by a section on preparing the materials, most importantly the papers from which you then make the collage elements. While it feels a little bit like painting by the numbers at first, I appreciated the art when I actually tried to make one of the projects myself. And the projects shown in detail in the book are just a beginning, an inspiration to get out and find your own ideas to execute. "Painted Botanical Collage" is beautifully illustrated, full of color and interesting shapes and forms. 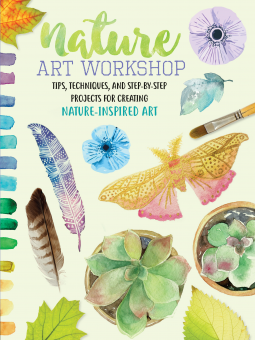 It is a really fun gift book for somebody who wants to do some simple, but rewarding art projects. Even if just wants to browse through. Title: Conscious Creativity: Look. Connect. Create. In a very short time, I read ""Conscious Creativity: Look. Connect. Create." 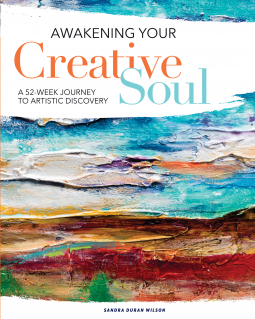 by Philippa Stanton and "Awakening Your Creative Soul: A 52-Week Journey to Artistic Discovery" by Sandra Duran Wilson. The two books, while on surface talk about the same thing, could not be any more different. "Conscious Creativity" is far more general in terms of the target art you want to develop and practice. In fact, it does not talk about the act of artistic creation at all - it is what you do in your "other time". And while many exercises use photography to document (and the book is full of great photography), I would not necessarily limit the book audience just to photographers. The exercises are designed to make you look, see and make sense of the world around. There is no step by step instructions, just ideas, and assignments. There are simple observation tasks, doing, like collage or photography, or even hearing - making it applicable to all arts, is it music or writing or visual arts. I myself started to incorporate the exercises into my daily life. For example, instead of picking up a phone the moment I have nothing to do, I select the first color I lay my eyes on and then scan my surroundings for other objects of the color. Surprisingly, if I go around a few more times, each time I discover more and more! Clearly, I have a long way to go to get my observation skills up to speed. 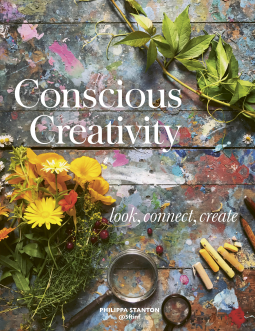 "Conscious Creativity" is beautifully illustrated book with color photographs and could serve as a coffee table book (if it was not published as the paperback). And some of the photos were clearly taken with an iPhone, showing you that you do not need any special tools to do the assignments in the book, just set out to follow the instruction. "Conscious Creativity" is simply a great gift ideas for a creative (or aspiring to be a creative) person in your life. 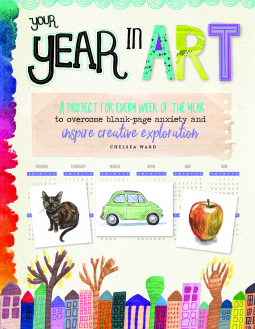 "Your Year in Art: A project for every week of the year to overcome blank-page anxiety and inspire creative exploration" by Chelsea Ward has a broad title, but really is focused just on drawing techniques. Which is not at all a bad thing! 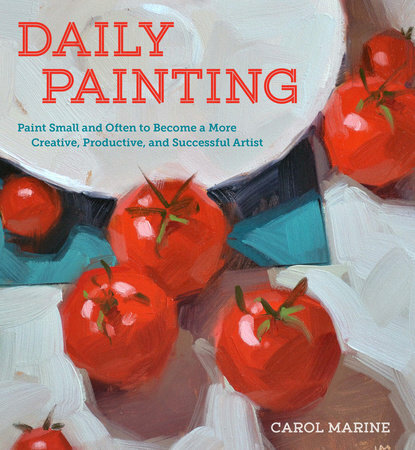 The book has a very short list of art supplies, making it easily accessible for everybody to get started. While "Your Year in Art was primarily designed as inspiration, providing weekly prompts and ideas, you do not need to be an expert in drawing to get going. In fact, it starts really easy, with decorating words or coloring your own doodles. There are weeks devoted to getting used to drawing techniques- simplifying shapes, mixing, colors, mark making or contour drawing. Later things get more interesting, with projects like recipe illustrating and various lists. Assignments also get far more challenging later in the year, with exercises like drawing hands. There are intimidating assignments that make you draw outside your house, in public spaces or fun, like making a map - it really is a mixture of easy and challenging from week to week. To purpose- to keep you drawing, systematically and for simple pleasure. "Your Year in Art has a very modern design and informal feel. Pages are consistently organized, with the week project idea description, assignment, and additional challenge "Try this". I was browsing mindlessly for another book to read. Nothing was appealing, and nothing was coming up with “photography” as a keyword. Until the cover image caught my eye and I decided to take a closer look at the “Capture the moment”. I read the short description and I was hooked. I knew I made the right choice when the book arrived at my doorsteps. 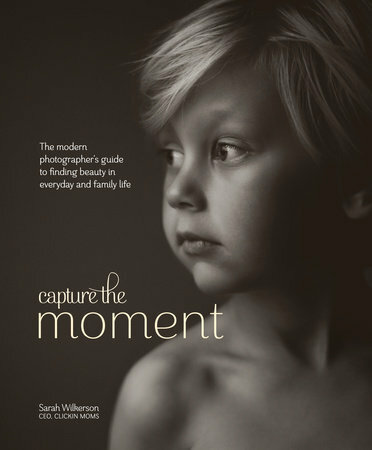 “Capture the Moment: The Modern Photographer’s Guide to Finding Beauty in Everyday and Family Life” is beautifully published book. Slightly larger than your typical novel, the black and white picture on hardcover adds to fine art feel, heavy and elegant. The good quality paper gives justice to amazing imagery, many double page spreads (see example spreads in the post – click on each to see larger version). This is how I interacted with the book at first, just picking it up here and there and browsing through images, like you would with a coffee table book. The book, however, was not meant to be a coffee table book, at least not as the only purpose. It is also a basic photography handbook, explaining some basic concepts of photographing the world around you. However, “Capture the moment” is not filled with large blocks of text. Now, the teaching is done by the very short paragraphs, which can be read when you have a minute or two in your busy day. There is an informative phrase, like a bullet point, followed by a few sentences of explanation and an example image. That’s it. Learning photography in small bites. The tips are organized into following chapters: Natural Light, Composition, Storytelling, Fine art, Black and white, Low light. Each chapter ends with a number of creative exercises, to make reader pick up the camera and go out to explore the world, photographically. This is not the book you want to pick up when you are beginning photographer and what to learn technical side of using your first DSLR. This is just not the focus of “Capture the moment”. This particular book is about creativity and finding subjects to photograph around you, in everyday life. I find it its strength, since there is plenty of technical manuals on the market. And just to shortly mention – all the amazing imagery in the “Capture the moment”are of female photographers, part of the group “Clickin Moms“. Their vibrant community is worth checking out. This review is re-posted from my photography blog, where it was first published on May 19, 2015.